Before heading off towards Mount Aural via Phnom Penh, we tried again briefly for Germain’s Peacock Pheasant at Keo Seima Km 157. We heard one or two again, but no views this time. 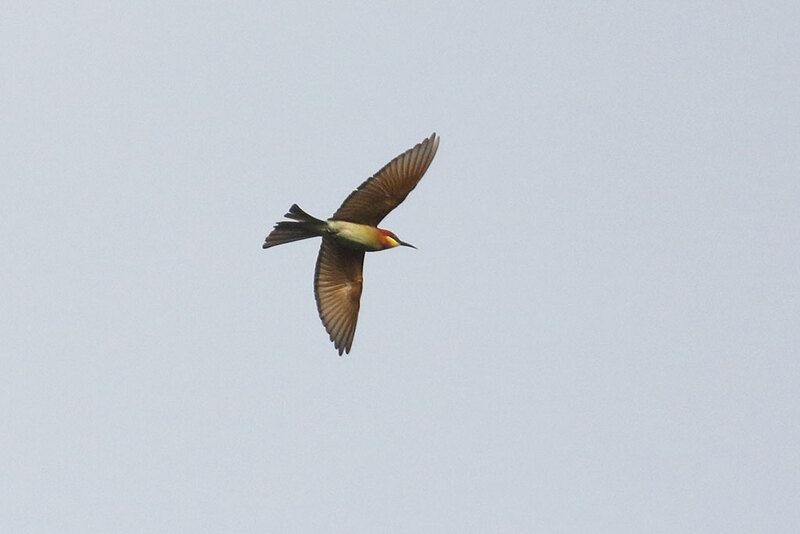 A Crested Honey Buzzard flew over as we were on the track, and some nice Chestnut-headed Bee-eaters were flying around catching insects. 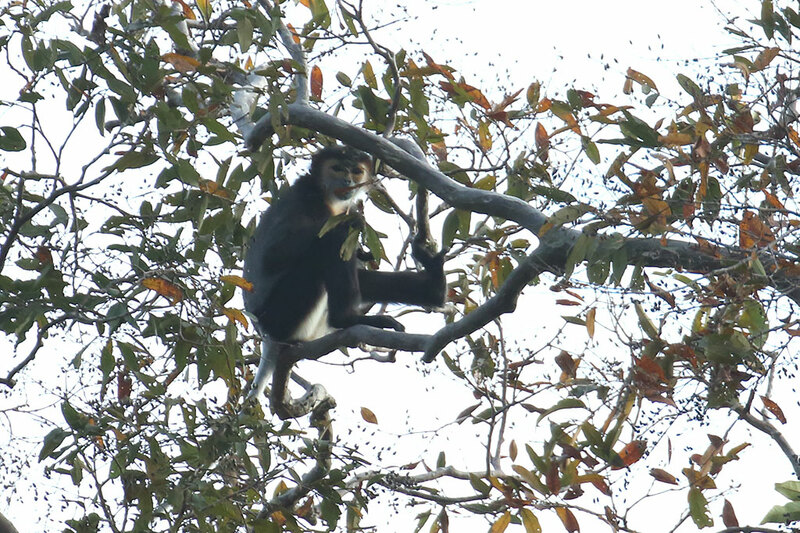 We also we got good views of some Black-shanked Douc monkeys. After that, was a long 10 hour drive to Sreken Bei village near Mount Aural, about 150km north-west of Phnom Penh. 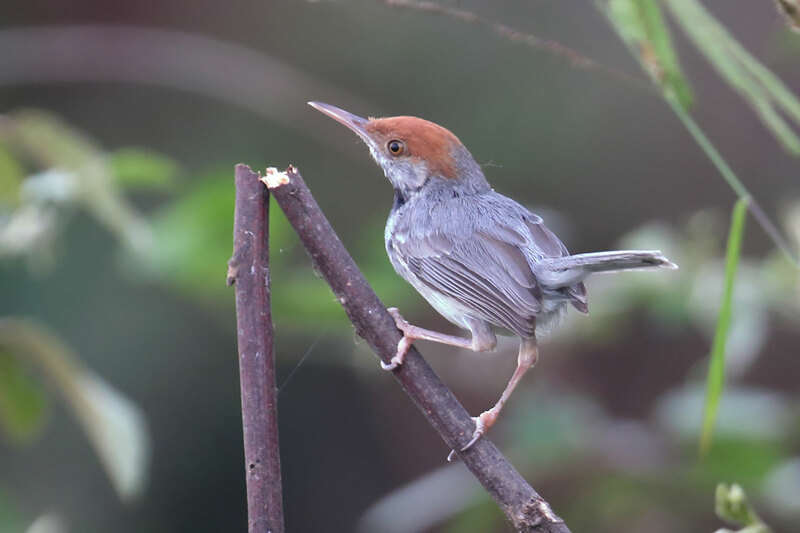 We stopped in the late afternoon to try for Cambodian Tailorbird on the outskirts of Phnom Penh. The habitat was an unlikely scrubby area off the main road. 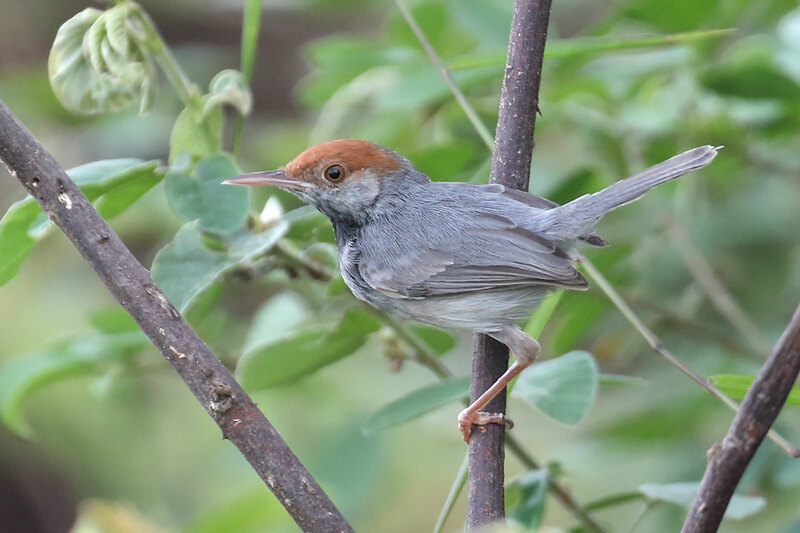 It didn’t take us long to see one - our first endemic bird of Cambodia and only described in 2009. It was dark by the time we made it to the village near Mount Aural. Near Udong, Phnom Penh, Cambodia. December 26th, 2018. 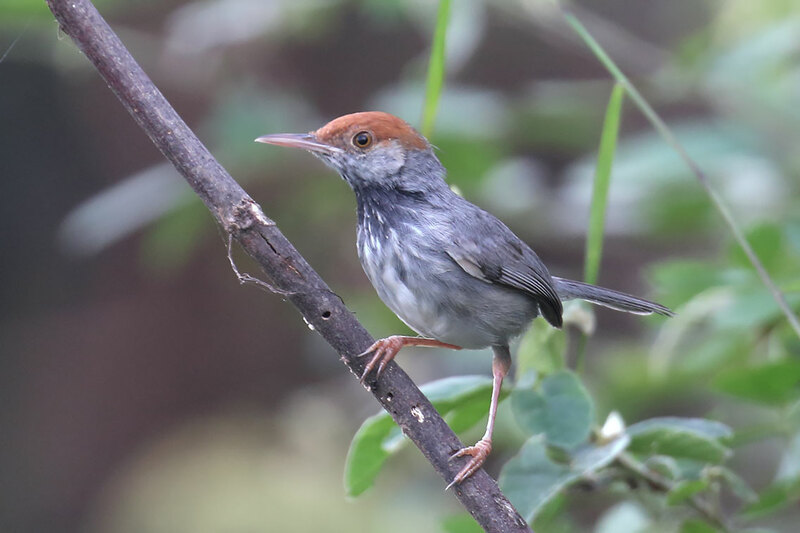 Keo Seima Forest, Mondulkiri Province, Cambodia. December 26th, 2018. Near Udong, Cambodia. December 26th, 2018. Keo Seima Forest, Cambodia. December 26th, 2018.